It will be worth breaking away from your holidays early to come and join as at Bar Topolski on Tuesday the 5th September for our incredible voiceover experts talk. We love to share things with our audience that are a little left of the main filmmaking route from time to time, and this month we are doing exactly that. For our September talk we are inviting some voiceover industry experts along to talk about all things voiceovers, including an agent, and a voiceover company whose VO artists voices frequently fill the television screen. Have you been secretly wanting to get a voiceover agent for a while? Perhaps you want to be a voiceover artist yourself but don’t know how to become one. Or have you always wondered what exactly ADR for film and television is about? If so, this is the night to join us. 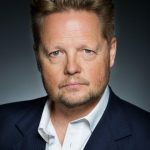 Soho Voices voiceover agent Peter Morris: Soho Voices is a voice over agency in London’s Soho that has become one of the UK’s leading agencies. 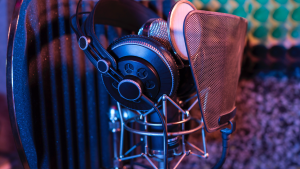 They work in every area of voiceovers from commercials and computer games through to television and drama. There’s nothing the team at Soho Voices will shy away from, and their new glossy studios in Soho are even bigger and better. Peter Morris launched Soho Voices many years ago, and has been running this brilliant agency for years, as well as being a hugely successful voiceover artist in his own right. We are delighted Peter can join us and share his wealth of experience. Hugh Edwards at Gravy for The Brain: Casting Director and Director of Voiceovers and CEO of Gravy for the Brain loves to help actors. 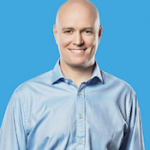 He owns and runs an incredible voiceover company that offer unlimited access to incredible free podcasts and webinars (we have heard loads of them ourselves), as well as a paying site, amazing classes and more. But Hugh does more than that. He has also cast hundreds of voiceover artists over the years for roles, and also directed them. Hugh has worked on over 200 games, films and television shows and is also a BAFTA judge. In the Loop’s David John: David at In The Loop is a very experienced voiceover artist and actor (RSC, Dr Who + more) who started this fantastic ADR company with credits including Dr Who, Dad’s Army, Cubin Fury, The Jury and Horizon to name but a few of the incredible shows and films they’ve been involved with. As well as running the sessions, David also helps actors and voiceover artists by regularly training them in all things ADR (a pretty darn handy skill for extra income). You can meet these amazing voiceover legends for less than the price of two coffees. Where do you sign up? Right here on Eventbrite. We can’t wait to see you there! Time: Talk at 7pm; FREE networking from 8pm onward. AND FINALLY – we will also be giving away a copy of Casting Director Sharon Sorrentino’s amazing new acting book The Audition Room. If you want to win a copy, simply book to come to the voiceover expert talk as we will be giving it away at the end of the live session!